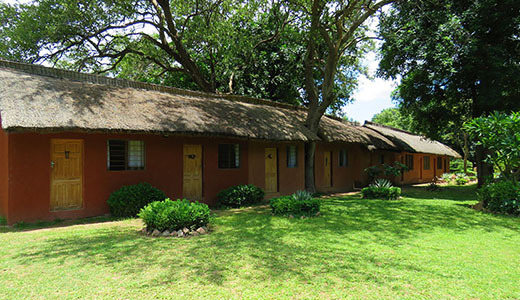 "Your affordable Safari Camp in South Luangwa, Zambia"
A relaxed feel runs through Croc Valley Camp, which offers budget-friendly Safari Holidays & Camping on the banks of the picturesque Luangwa River, situated 500 meters outside the entrance of the beautiful South Luangwa National Park in Zambia. 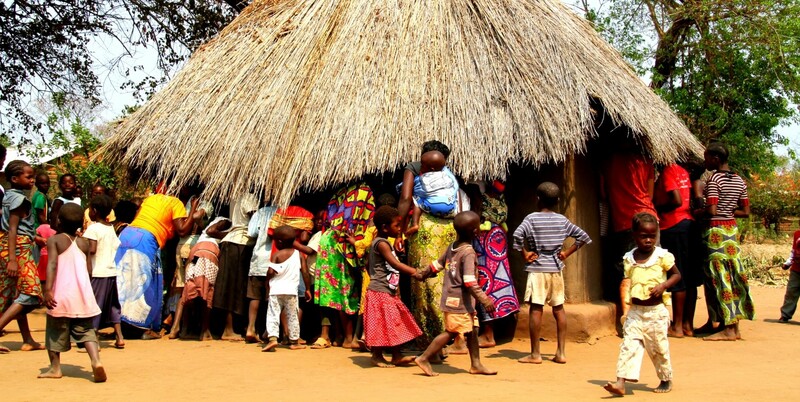 Set in riverine forest the camp is deliberately inconspicuous so as to retain the natural beauty of its surroundings. An abundance of wildlife such as elephants, monkeys, hippos and a wide variety of antelope often pass through the Camp and can be seen most days from the safety of our shaded rondavels, the bar, the restaurant or the self-catering chalets. Whether you want to go on Safari in the comfort of our especially adapted game-viewing vehicle or want to venture out on foot, we offer a Safari tailored to your needs with resident professional guides whose expertise and intimate knowledge will guarantee an unforgettable experience in the pristine wilderness of the South Luangwa National Park. 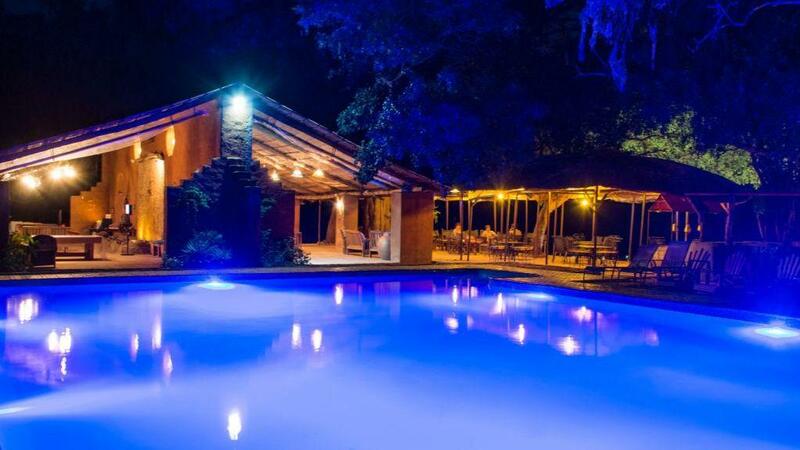 Croc Valley Camp offers a big outdoor swimming pool which is perfect for sun bathing and cooling off, hammocks are scattered around the camp for lazing around and watching the world go by. The bar and restaurant can be utilized at any time of the day and both offer perfect views of the river and the wildlife that uses it. Birdlife can also be viewed in abundance with over 430 species. Enjoy exceptional sightings of many of the migratory birds plus regular residents like Open Billed Storks, African Fish Eagles, beeaters and many more. 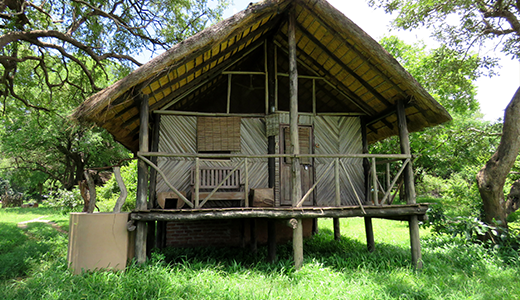 The Camp has heeded the world’s carbon foot print call and is completely environmentally friendly and built from local natural products on stilts providing a fantastic viewpoint from which to see the wildlife that wanders through the camp while still encapsulating a rustic luxury. Throughout your stay, our chef's can provide delicious meals and snacks from original recipes using fresh ingredients for your meticulously prepared meals and for those that wish to self-cater or camp, full kitchen facilities are provided. 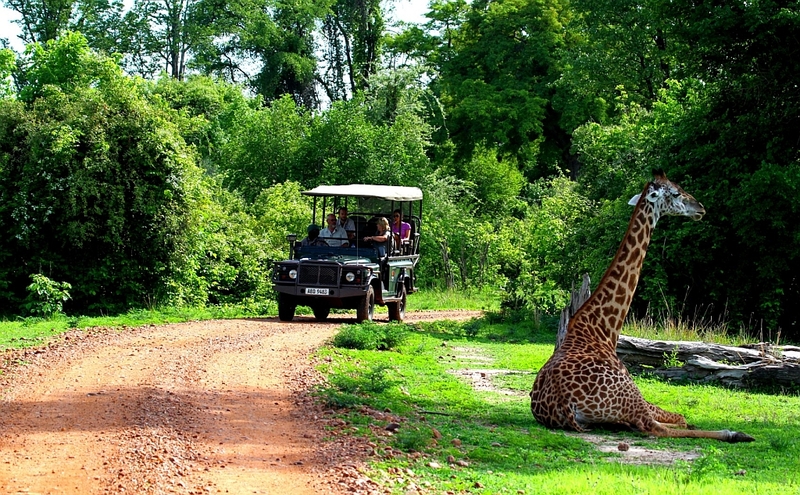 Join our Game Drives, which are conducted in either Land Cruisers or for larger groups our 20 seater vehicles designed once again to watch our carbon footprint in the park. 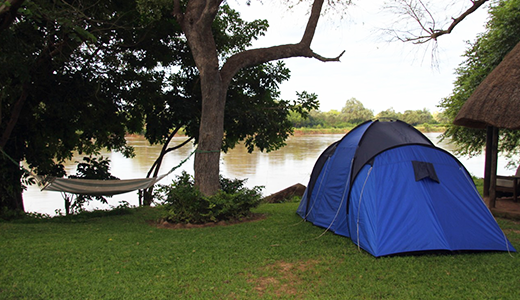 Our campsites are located on the banks of the Luangwa River and are well catered for Campers and Overland trucks with parking areas, summer huts, power points, hot showers and ablutions. 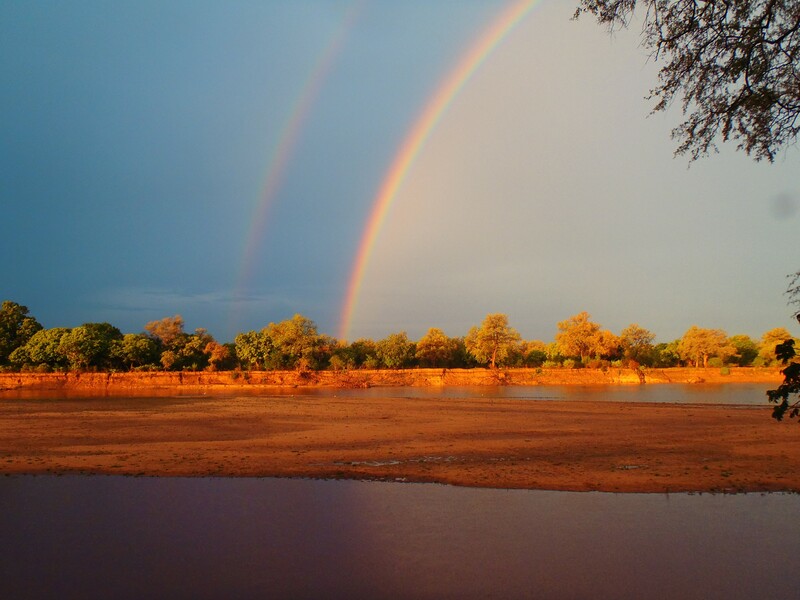 Enjoy the real "Africa feeling" with stunning river views, star gazing and campfires songs at night while immersing yourself in the sounds and nature of the African Bush. 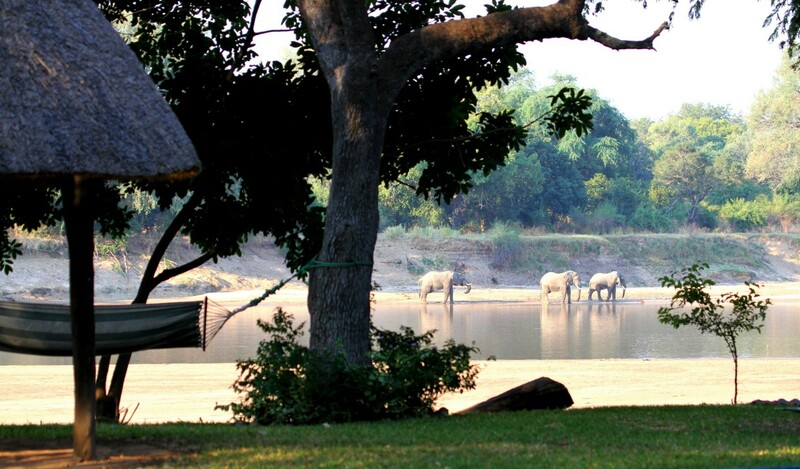 You might encounter wild animals, big and small, which frequently roam through our Camp. So always be watchful and keep your food locked up. 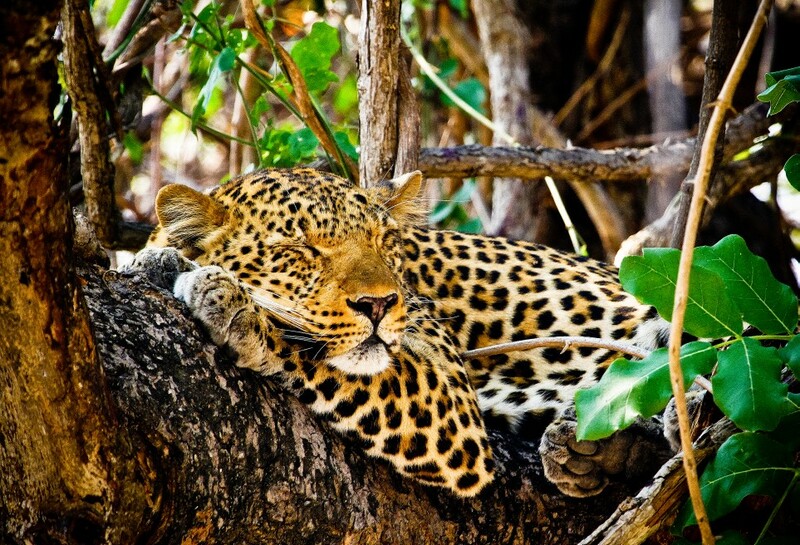 Holidays in South Luangwa will be an experience of a lifetime, nothing can compare with waking up to hear a lion roar in the distance, watching an elephant herd wandering through the riverbed, listening to the noises of grazing hippos at night or tasting an ice-cold beer at our Luangwa River Bar. We believe that everyone should get the chance to take part in such an unforgettable experience, so staying at Croc Valley Camp won't cost you a fortune. 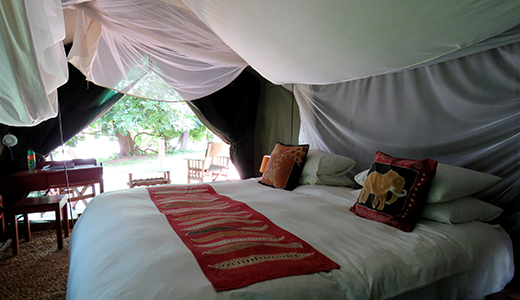 Our affordable Safari Camp offers a variety of different accommodation options to suit your budget! Croc Valley Camp is looking for keen capable young volunteers to do a three month stint in the renowned South Luangwa National Park of Zambia. Got someone you know just finished School, University or College that is looking for a break and opportunity to work in a Safari Camp? Then pass this on to them.